25 April is World Malaria Day… and we should care, because? A MILLION CHILDREN DIE EACH YEAR FROM THIS PREVENTABLE DISEASE (and lots of adults) & MILLIONS OF PEOPLE GET REALLY SICK. Since many of these folks live in sub-Saharan Africa, malaria compounds an already challenging context of health-related issues & the economy. Go figure that if half your country has malaria at some point during the year productivity will be low. 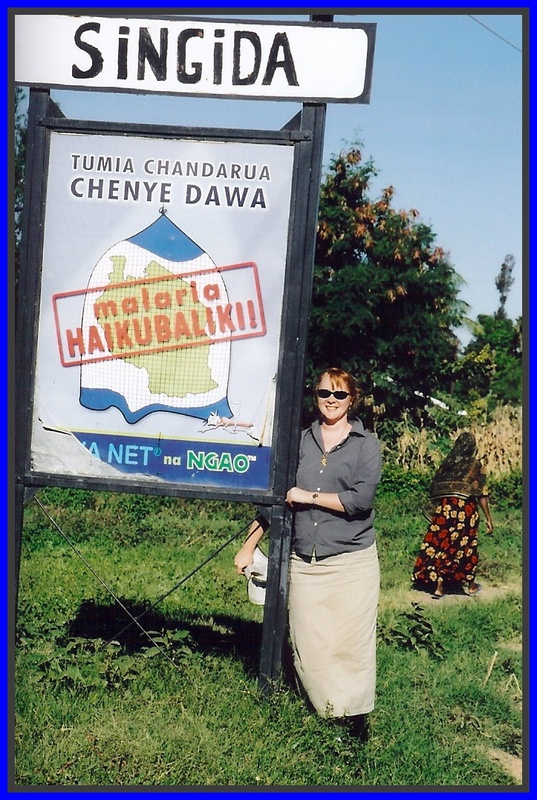 I knew a little something about malaria before moving to Tanzania (a year of taking Larium while globetrotting for a safe-water initiative definitely weirded me into a strong dislike of the disease.) Given my four year job commitment I decided that Larium-induced weirdness was not an option, therefore purchased the suggested bed net & went into late-nite mosquito alert mode – splat, splat, on the way to the bathroom: DIE MOSQUITOES DIE. Meeting with these community groups to understand their concerns & priorities (“when you think of your children late at night, what keeps you awake?”) Time & again malaria came into the dialogue. I spoke with one lady who lost FOUR children to the disease. Heart-breaking to see her tears & hear her fears for her other children. At that time in Tanzania, where malaria in many districts is ‘endemic,’ ie, you can catch it all year around, 70,000 children died each year from the disease. Thankfully that number has decreased, but it’s still just a number until a child you love dies. After three miscarriages my vibrant assistant, Joylline, had a beautiful baby girl, Hope. She became the darling of our Dar office. At 18 months Hope died from malaria & pneumonia. A crushing death, as is the death of each and every child who dies from this disease. After that Kagera visit I went back to our Dar office galvanized to do something more about malaria & began strong-arming our Programs Division to highlight this issue. We already wove simple malaria prevention into our long-term community development projects & had several special child-health programs that did extraordinary community health at the village level, but more was needed! So, we galvanized special projects from the Australian & New Zealand governments & UNICEF & more. 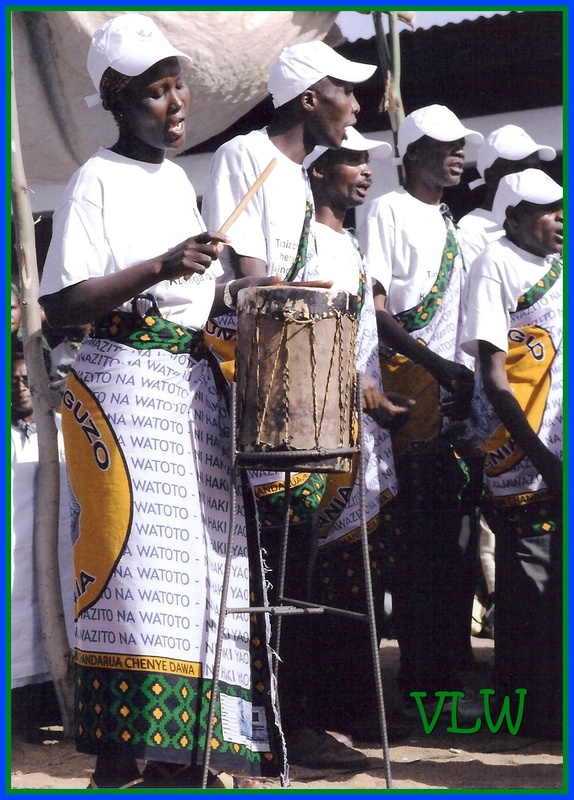 Then, with CARE Tanzania, we co-founded TaNAAM (the Tanzanian NGO Alliance Against Malaria) with a cross section of NGOs, pharmaceuticals & major malaria stakeholders to coordinate national activities. Again, with CARE TZ, we launched into the TNVS (an insecticide treated net voucher scheme) doing medical training, social marketing & BCC campaigns (Behavior Change Communications) in every district of Tanzania. Using best practices from smaller projects in the project design, our newly hired Program Manager thought we were on crack as the new teams took the project to scale, which required 8 teams simultaneously moving in several districts at a time! But, during evaluation visits ‘twas so exciting to see local performance groups communicating in local languages, tribal dances & skits demonstrating bed net prevention, diagnosis & treatment. In many of these places nets had never been available, but that’s why this disease takes lots of folks to make a difference. My colleagues in our Arusha National Office began calling me the “Malaria Queen,” since our Dar Division opened our doors to host this project (in close coordination with Programs) & our Marketing Team designed the media campaigns, logos, events (et all) & since their humble director (moi) backstopped the whole Promotion half (including the rural BCC teams) of the multi-million dollar grant from the Global Fund for HIV/AIDS, TB & Malaria. All this time I used my bed net & toted one along for extensive rural travel. (Our National Director, George, insisted each director visit every region at least once a year. Since we supported 126 projects in 12 regions that meant I traveled half of every month, mostly to very rural areas & to our refugee programs in Kigoma.) I managed to avoid Malaria until traveling to Uganda for a regional conference. Asking the guesthouse desk clerk for a net, he said ‘you don’t need one here.’ Waking up at 3:00AM with mosquitoes all over the wall & bites all over my arm, needless to say the next night I insisted. Two weeks later while in Arusha for very important international meetings, my temperature skyrocketed to 104 & my joints screamed with prickly pain. Did I mention being on crutches at the time? (click here to read more about that..) That’s when I met malaria, up close & personal. During this episode I learned the African lesson of ‘being with.’ My Leadership Team colleagues (all African) came to visit me (this, whilst I felt extremely lousy after being up all night, with my hair sticking out every which way.) But that is the African way! When baby Hope was in the hospital I sent flowers & needed supplies, as I didn’t want to intrude until I noticed our Team members eying me askance. Finally, one blurted out, “Madam you MUST VISIT, Joylline will think you don’t care!” Yikes. I got it & visited right away. Then became first in line at every funeral, wedding, engagement because I DID care & that is What You Do in Africa. You show up. You share the pain, you share the joy. It’s that ‘being with’ thing. Sometimes facing death or illness or tough times can be uncomfortable, but what I loved about the African way – you realize you are not alone as the pain is shared across family, friends & the community. This entry was posted in Advocacy Issues and tagged Africa, malaria, NGOs, Roll Back Malaria, Tanzania, WHO, World Malaria Day. Bookmark the permalink.